We are sorry to hear of the death of a former OPS parent and indeed the trustee who, along with Rev JR King and W Esson Esq approved the terms and conditions under which I was able to acquire the OPS in January 1887. 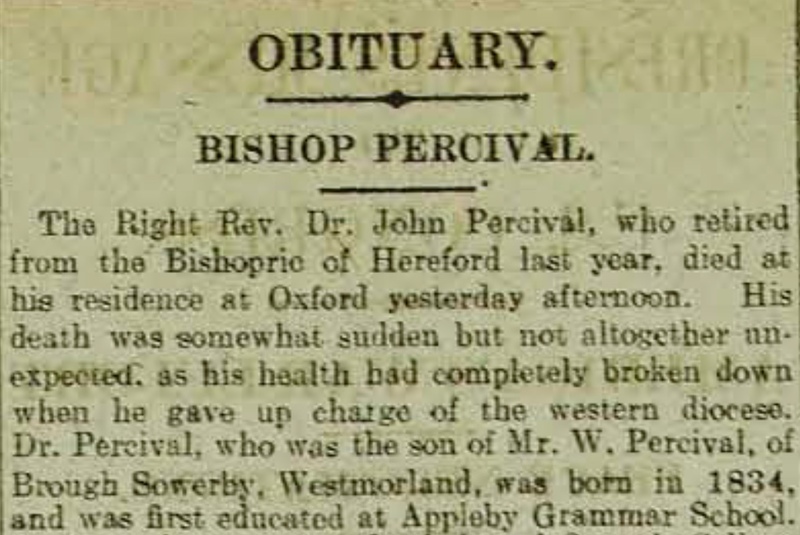 Dr Percival was made Bishop of Hereford in 1895. He retired to Oxford last year. 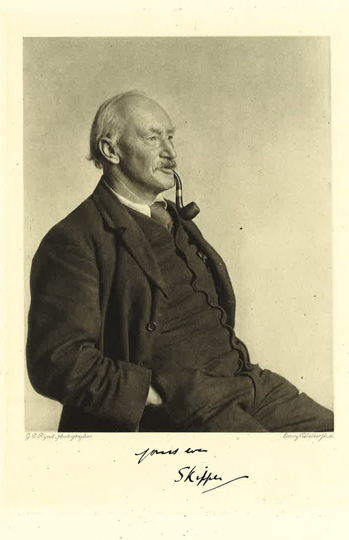 He was the father of Arthur Percival (Lieut.- Col., Northumberland Fusiliers) who together with his brother Launcelot joined the OPS in 1879. Arthur was one of three of our Old Boys who was killed on October 31st 1914. 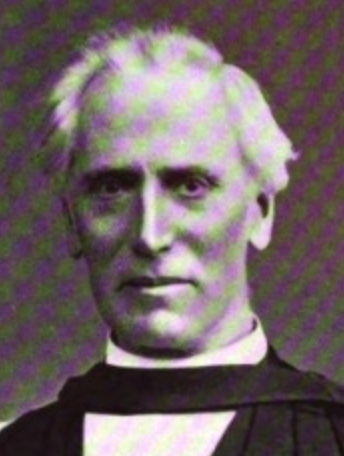 Launcelot Percival is currently Rector of St Mary’s, Bryanston Square in London, having distinguished himself before the war as an English rugger international and as one of the first invited to join the Barbarians Club.